Uncategories Who Is Malik Riaz Hussain? These Days owner of Bahria Town and one of the most richest Pakistani Malik Riaz Hussain is in news for scandal of Chief Justice Iftikhar Chaudhry son that he bribed CJ's Son 30 to 40 core rupees to get relief in his cases that are pending in Supreme Court. But who this man Malik Riaz is and how he has got influence in different departments of Pakistan? 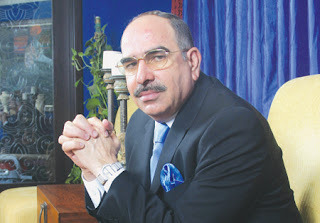 Malik Riaz was a poor man and in early 80s he started work as small real state contractor but with time he got lot of success in developing business and now he is owner of Asia's biggest housing society Bahria Town that has much better facilities than any other housing society of Pakistan. Bahria Town has projects in Rawalpindi as well as Lahore. Bahria town also has some smaller projects in various cities. Malik Riaz is included in top ten richest Pakistanis and he has contacts with all major political and military leadership. he also has contacts with various journalists. Malik Riaz has created this influence with power of his money. There are dozens of cases as well against Malik Riaz for Land Grabbing and fraud. This time his name is coming in bribing son of Chief Justice of Pakistan.